This is another example of a Volkswagen using solar power to a larger scale, just as we are trying to do. This hybrid Passat also contains a 120hp, 155 lb-ft electric motor, with energy supplied by a 75hp fuel cell system mounted under the hood and a lithium-ion battery when extra acceleration is needed. The hydrogen fuel is transported in a carbon fiber-reinforced tank pressurized to 350bar. Regenerative braking technology is also employed, using the braking energy to charge the battery. However, there are still some problems with this design. Hydrogen has to be stored at very high pressures and is potentially hazardous in the event of an impact. Supplying hydrogen is also a very costly thing to do. We believe that with the use of solely solar panels, we can eliminate those hazards and provide a more cost-effcicient alternative fuel. Volkswagen created a factory option solar panel that is used to charge the car’s battery. This is the kind of technology we are trying to incorporate into our project, but in a much bigger scale. 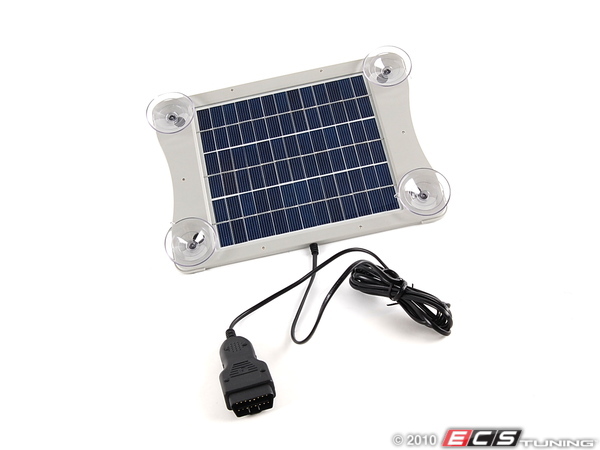 This simply attaches to a window and generates power from that one specific area. We are trying to create a larger style panel that can be attached on the roof of buses or even trucks, that can potentially power the whole vehicle for a decent amount of time. Short-term outcomes: In order to incorporate our solar-power kits on vehicles, we would start by implementing our idea on trucks and other public transportation. With our economy struggling with gas prices, our idea could eliminate the worries Americans are having at the moment. First, we would contact government organizations such as FEMA who value any progress regarding the environment and transportation. If we reach out to them, successful outcomes will be positive and have the potential to reach private organizations to implement our product on theirs. One of the most important aspects to consider is that we can only be successful through trial and error. Large companies such as FedEx and UPS value their energy savings and would be the most likely to agree to trying our idea. Long-term progress: Our goal is to perfect our idea and eliminating most of our problems throughout the process. Once our product can be produced and successfully installed onto trucks for example, we would like to try solar power kits on cars as well and to make them individually available. Considering that Norfolk is a city not quite as large as Washington D.C. or New York City, our group had decided to focus down on a way to better help cars work more efficiently in a way that will help our environment to save gas and actual power. With that being said, somehow creating a solar panel kit to place on top of vehicles to gain the car’s source of energy will all together help with already said gas and electricity but also decreasing the amount of toxins that can potentially harm us in the long run. If at all successful, it’d be nice to see this grow nation wide to cities that actually use transportation as a main source to get from point A to point B. After trying to narrow down our topic on providing “green” transportation, our group came up with the idea of “solar kits”, which will be an option people can choose to have on new cars and even be able to purchase for used cars. We will focus our studies right here in Norfolk, hoping that the idea will rapidly being spreading throughout the state and eventually across the country. Providing solar power as an alternative way of fueling automobiles will have a huge effect on the decrease of harmful exhaust emissions that are harming us and the environment. After focusing in on our group topic, we all came to the decision to focus on greener ways of transportation, specifically with cars. We have zeroed in on creating a “solar kit” made available to all cars to reduce emissions. These kits would be installed replacing the sunroof/roof area of the car with solar panels to collect energy to help reduce a single cars emissions. I think the best solution to our problem is to suggest solar/electrically powered cars in Norfolk rather than relying on auto mobiles that run on fossil-fuel gasses. Since these gasses are toxic to our environment I think we could reduce emissions by creating solar-kits for cars. These kits could then be installed as a sunroof and the collected energy used to mobilize cars. By making these kits available to the public and advertising our idea we could make an even bigger impact in the long run.